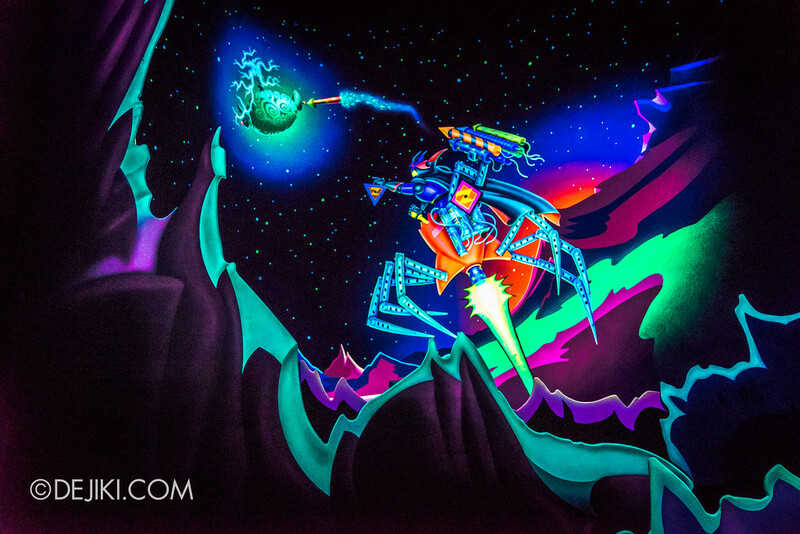 Hong Kong Disneyland’s first and only interactive dark ride will make way for a new ride themed to Ant-Man from the Marvel Cinematic Universe. 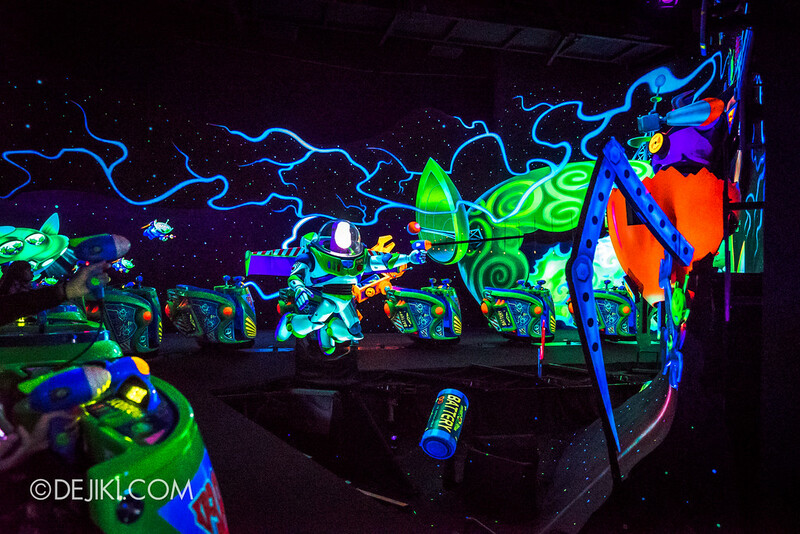 Like Buzz Lightyear Astro Blasters, the new attraction will be a shooter dark ride. 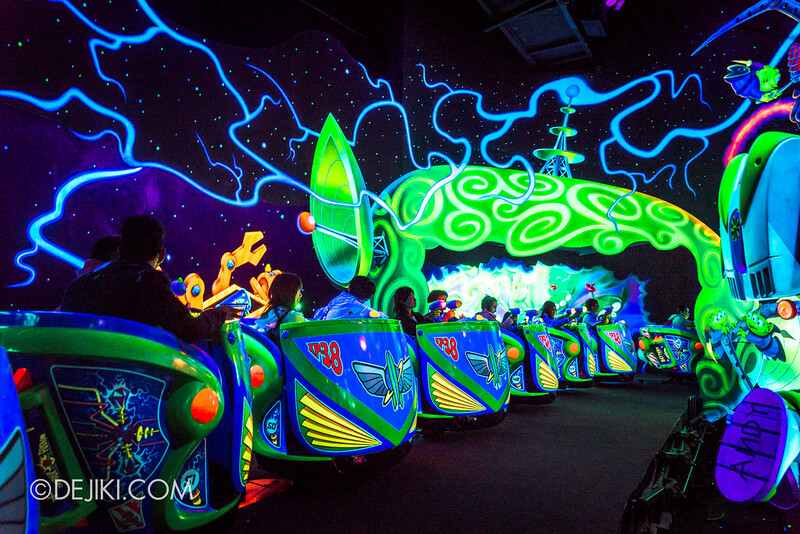 The decision to cut ‘Buzz’ might seem heavy-handed to many theme park fans. 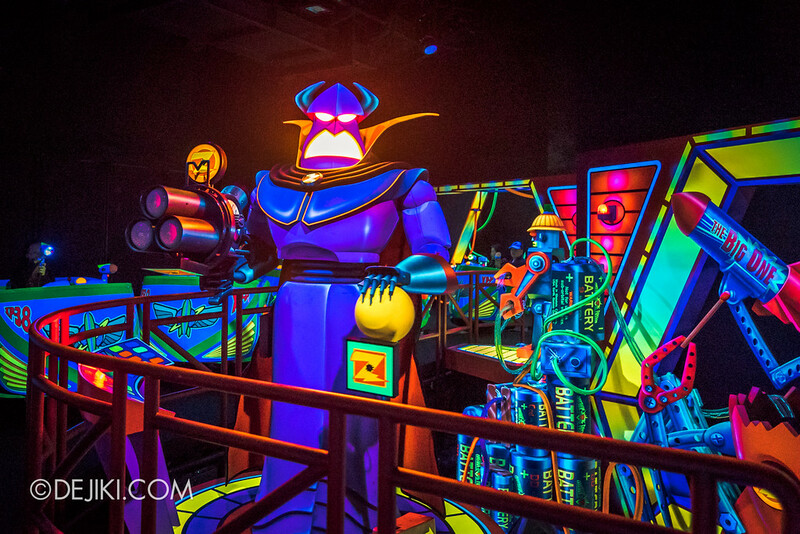 The space ranger from Star Command (and the Toy Story franchise) is a beloved character and there’s nothing really “wrong” with this cute dark ride that one could keep revisiting. However, looking at the bigger picture: the ride opened together with the park in 2005, and hasn’t been upgraded since. 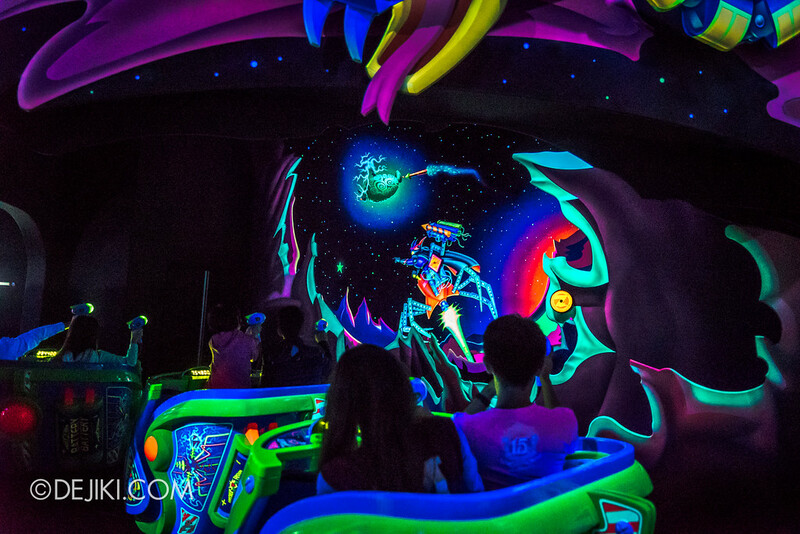 Apart from high-peak days, the ride didn’t draw in long lines – Fastpass was barely needed and was even taken away – without much impact. 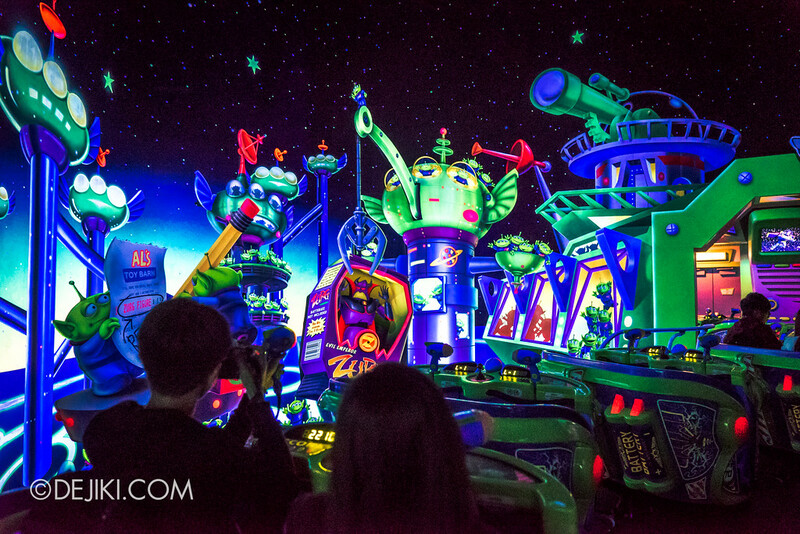 Then Shanghai Disneyland opened in 2016 with a superior version of the ride (Buzz Lightyear Planet Rescue) with new technology and higher realism. Hong Kong can’t just play catch up. They need something new, and unique. 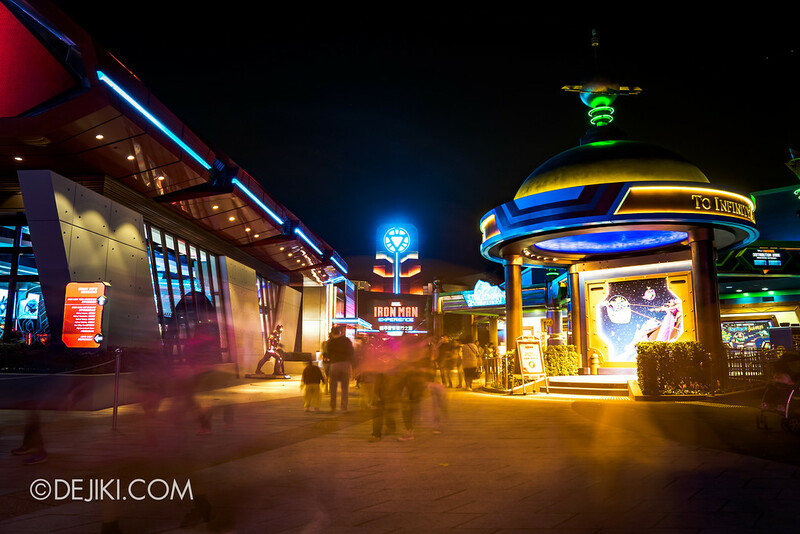 Which is also why the Tomorrowland section of Hong Kong has transitioned away from a fun and wacky future into one strengthened with epic, blockbuster Disney IP. Star Wars Tomorrowland Takeover. Iron Man Experience. And with the opening of ‘Marveland’ in the future, it will boast another unique Avengers attraction, completing Hong Kong’s Marvel Trinity. 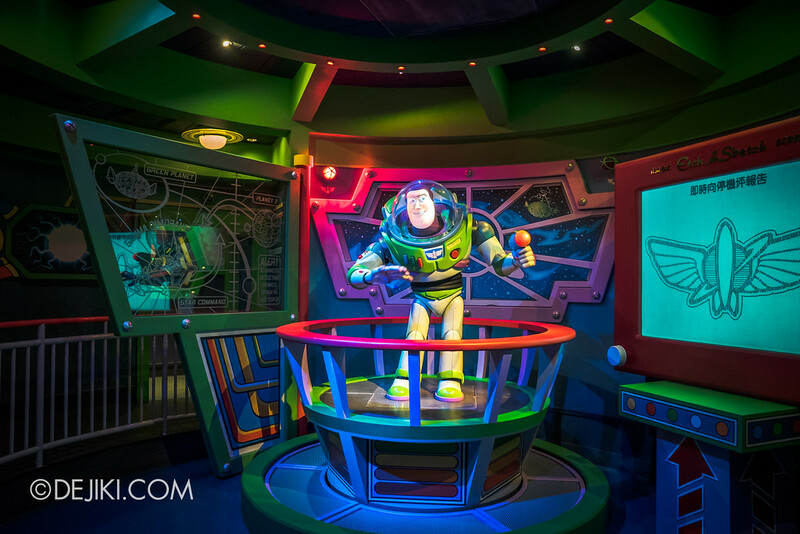 It would be no place for Buzz Lightyear to find a friend in. 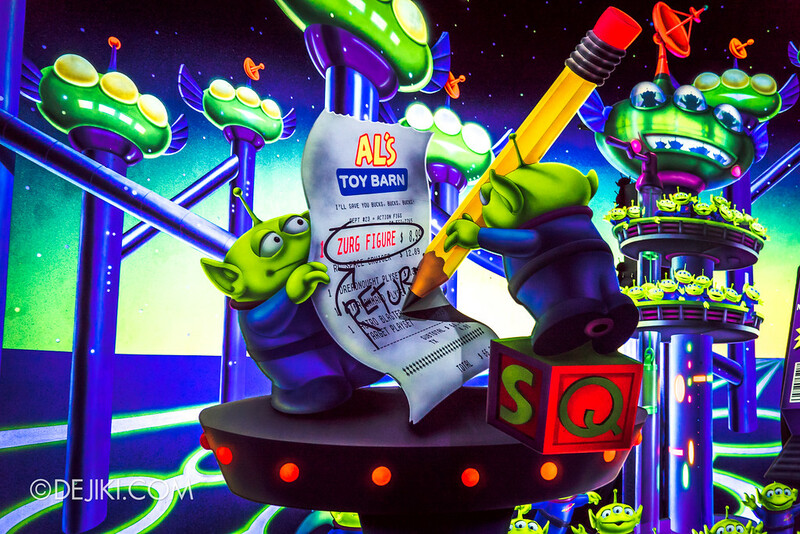 And so, like that famous song from Toy Story, strange things are happening to Buzz Lightyear. 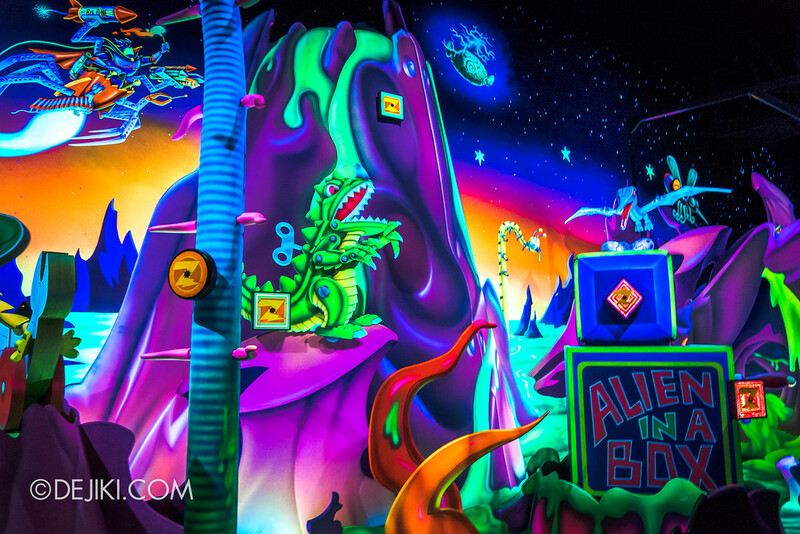 Let’s go on a tour around this attraction’s beautiful scenes with on-ride photos. 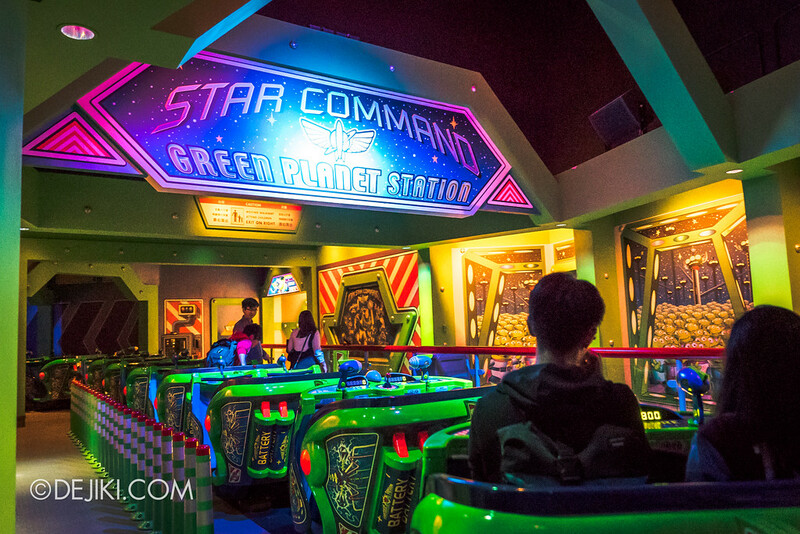 Buzz Lightyear Astro Blasters is a slow-moving ride which shares a similar ride system as the Haunted Mansion. 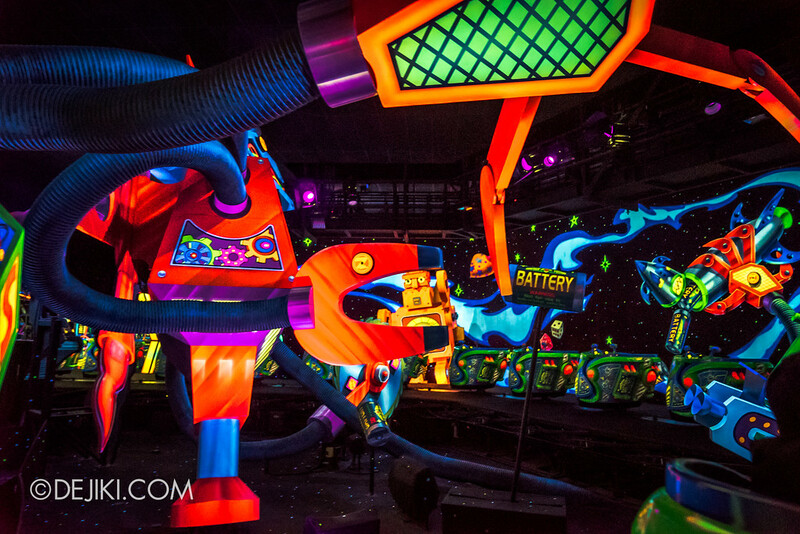 Laser guns are attached to the ride, and guests can also use “spin control” and rotate their ride vehicle. 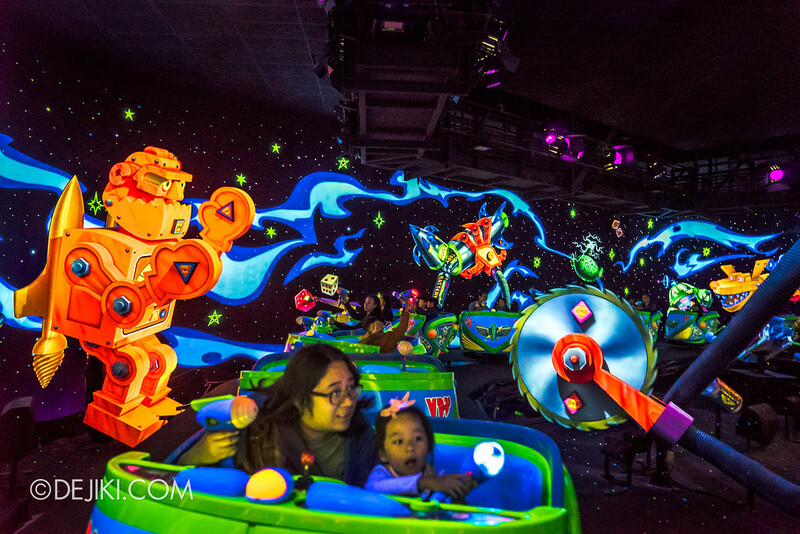 The entire ride is designed to make guests feel like they have shrunken into the size of toys, and drifted into outer space – within a child’s imagination. 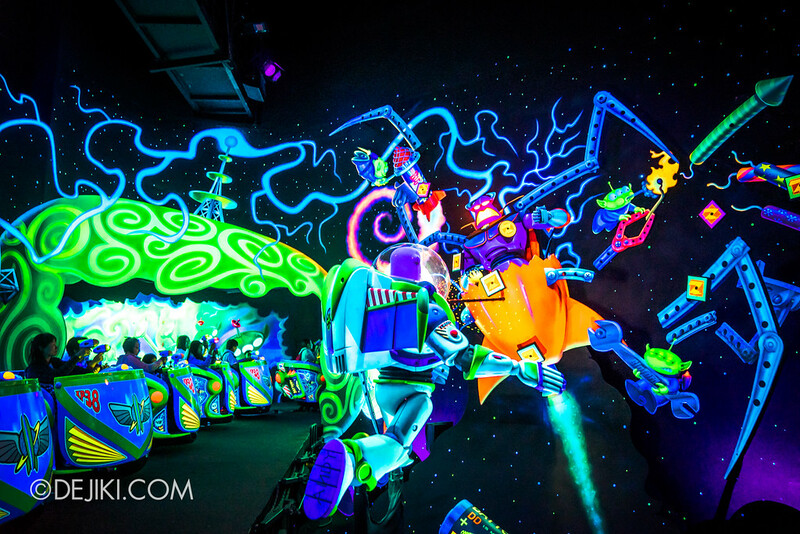 Emperor Zurg is stealing ‘crystallic fusion cells’ (batteries) and it is up to the park guests – space ranger recruits of Star Command – to defeat him. 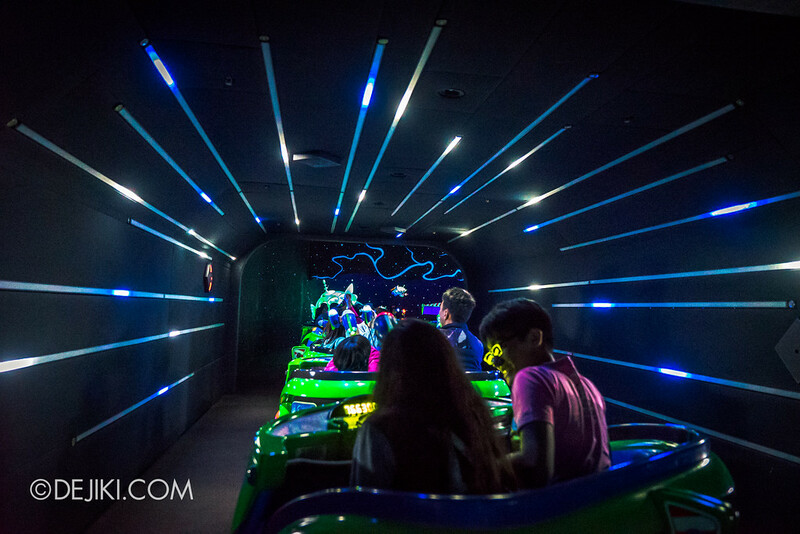 About 4-5 minutes long, the ride will bring guests through several planets and even to Emperor Zurg’s spaceship. 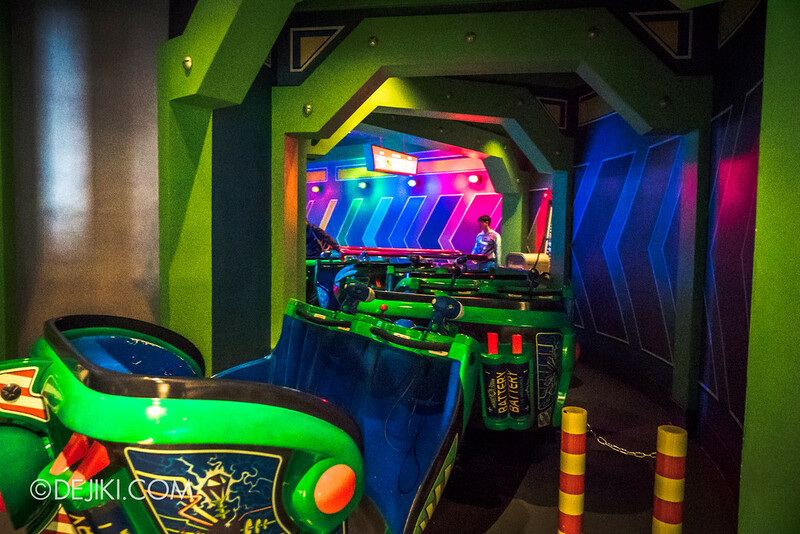 As the ride vehicles move continuously in a chain, slowdowns occur occasionally when more time is needed to load and unload guests at the stations. Such moments can make the game much easier! 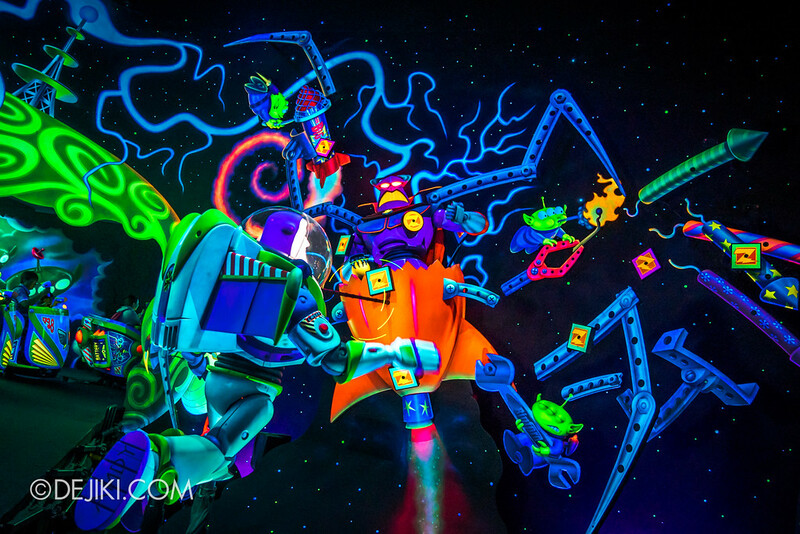 We finally meet Buzz Lightyear again towards the end of the ride, witnessing how he defeats Zurg. 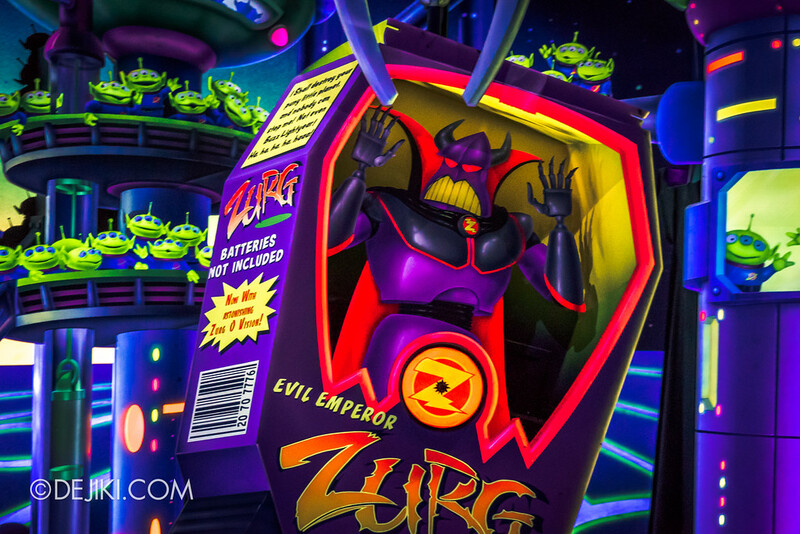 And then, Zurg is boxed up at Planet Green – and returned to Al’s Toy Barn. 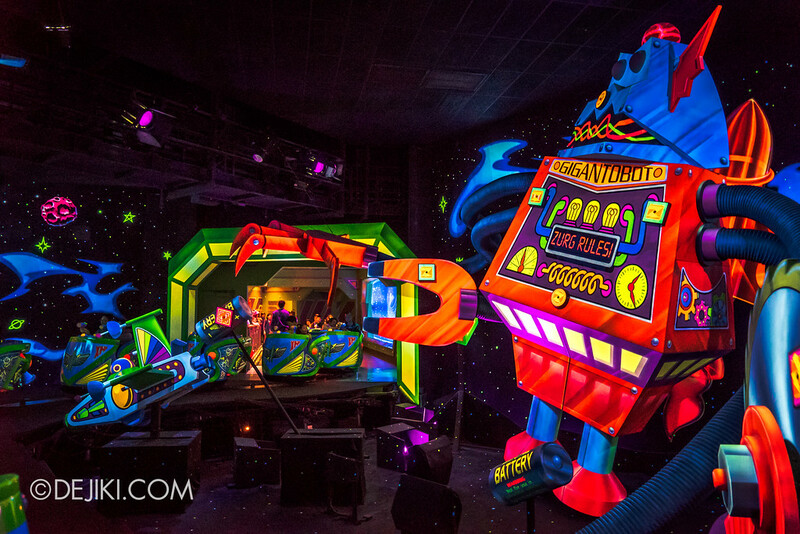 The Iron Man Experience will be featured in an upcoming article. Stay tuned. Dejiki, did you go to HKDL just to say goodbye? Similarly I bid farewell to Ellen’s Energy Adventure at Epcot and The Great Movie Ride at Disney Hollywood Studios at Walt Disney World. Pity I couldn’t say goodbye to Dragons Challenge (aka Dueling Dragons) at Islands of Adventure. I live in Shenzhen where is very near to HongKong Disneyland. 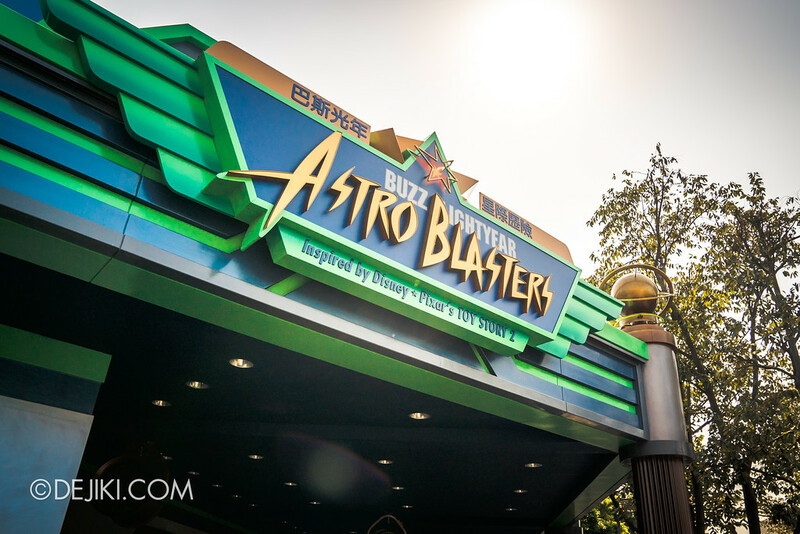 As a big fan of the HKDL, I am very sorry to hear that the Buzz Lightyear Astro Blasters is going to be cut for new attractions after I visited HKDL on June 6,2017. When I was in HKDL that day，I was also very sad that the Stitch Encounter had alreay closed and moved to Shanghai Disneyland（OMG this is one of my favorite attractions) My first visit to HKDL was at the age of five. 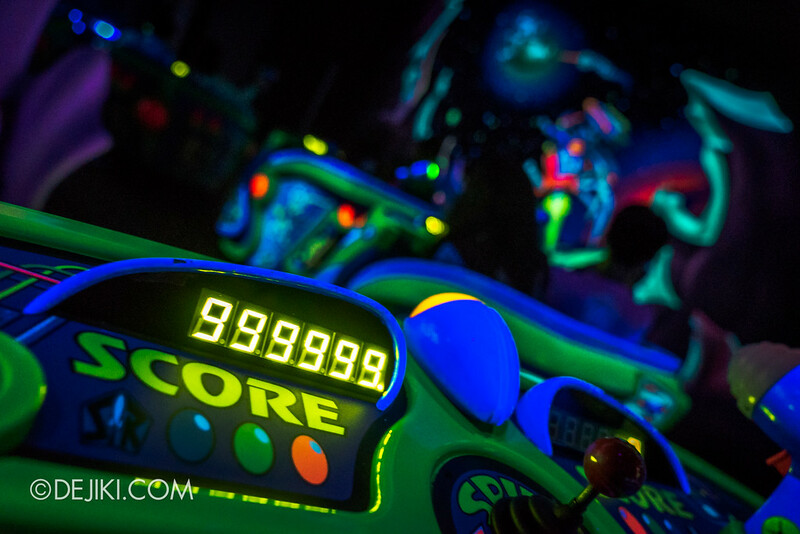 The Buzz Lightyear Astro Blasters and the Stitch Encounter were two attractions that had left a deep impression to me. I really hope these attractions can still remain at the HKDL.